What is up with these Minnesotans? Oh, there’s “Minnesota Nice” – and that particular nomenclature couldn’t be closer to the truth. Hospitality and courtesy abounds in this state. The artistic life is not only alive and well, but exceptional. Painters, sculptors, musicians, writers – our social life has never been so rich and enchanting. Good marks for social and political consciousness. Check. We love these folks who plod with aplomb through hoar frost and chilblain, straight-line winds and thunderbolts, not to mention the summertime stings of a particular and persistent state “bird.” There is courage and steadfastness and generally good values bred into the sons and daughters of prairie pioneers. As transplants we couldn’t be happier. 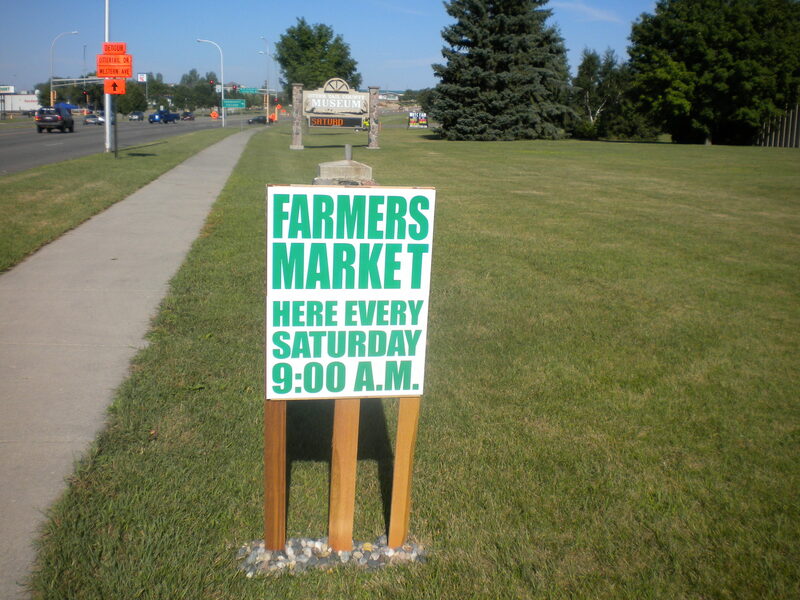 But, why oh why are they so resistant to a farmer’s market? It all began at the Fergus Falls Garden Club last spring when the idea was broached by Lynn, a member of the program committee. With visions of the grand venues which take place all over the western states, I realized how much I missed the weekly event in San Luis Obispo where all three blocks of the main street are shut down every Friday evening and you can barely elbow your way through the crowd. Along with vegetables and flowers and plants, there are musicians and political booths, neck massagers, food vendors, crafters, street performers. 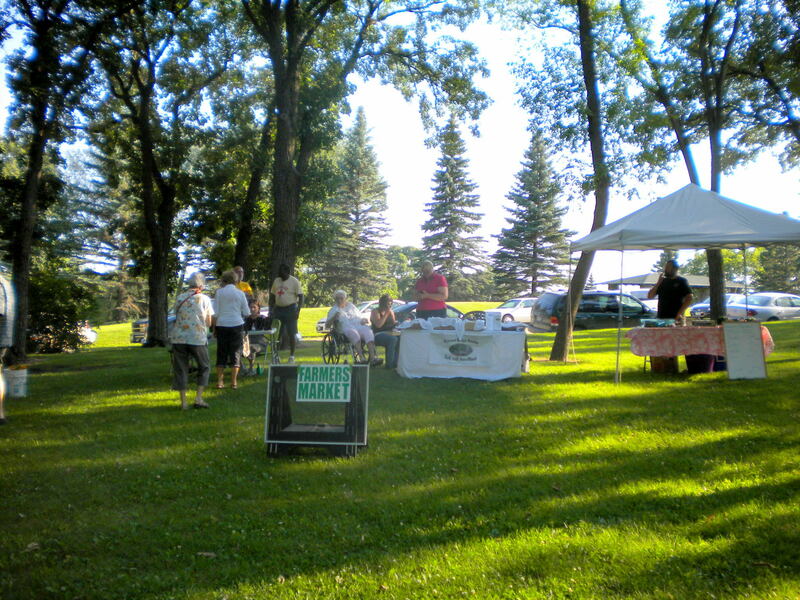 It’s County Fair every single week with, best of all – local, organic produce. I felt a bit like the new girl in town who, on the first day of school, raises her hand and proclaims – “Hey kids. Let’s put on a show!” But I pushed down my apprehension and approached Lynn at the coffee break and the next thing I knew, I was in charge. Oh dear. I initially tackled the task with enthusiasm and inwardly chuckled at the grand community panorama I was now to orchestrate. Fergus Falls IS the Otter Tail County seat. 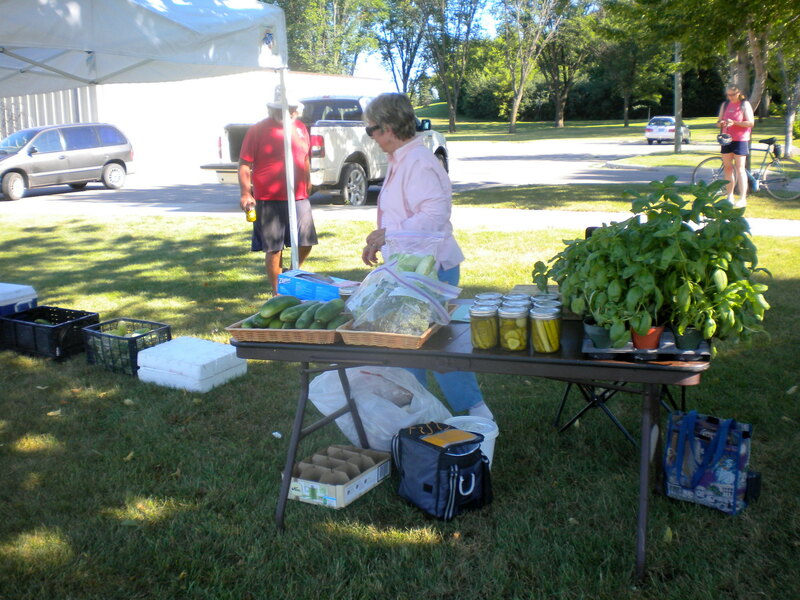 It deserves to host and propagate a proper farmer’s market. And I had the vision. I knew just how it should be done. And, as I’ve previously mentioned, my husband doesn’t call me a bull dog for no reason. And so, armed with visions of fun and plenitude, I dove right in. Since spring I have spent interminable hours on the phone, hounding truck farmers, crafters, bakers; visited local merchants (repeatedly) with creative ideas for marketing their wares and advertising their respective business; been on the radio promoting (twice) and written articles for the Daily Journal and the Battle Lake News. I have raised my hand and stood up and blathered at any event I happened to attend and delivered posters all about town. 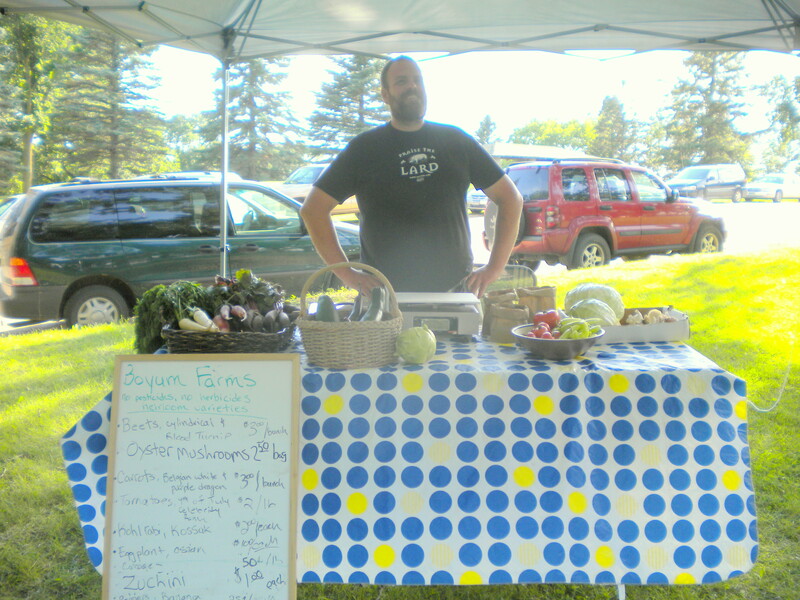 We’re now well into mid-summer and I can report that Pat Crepps of Boyum Farms has been a stalwart participant with his primo produce, eggs and pastured poultry. Fred and Rea of Forest Lodge Farms B&B have created a county-wide sensation with Fred’s intoxicating, addictive croissants. Cal’s vegetables are always the best and his wife’s dills punched a hole in my bread and butter pickle preference. 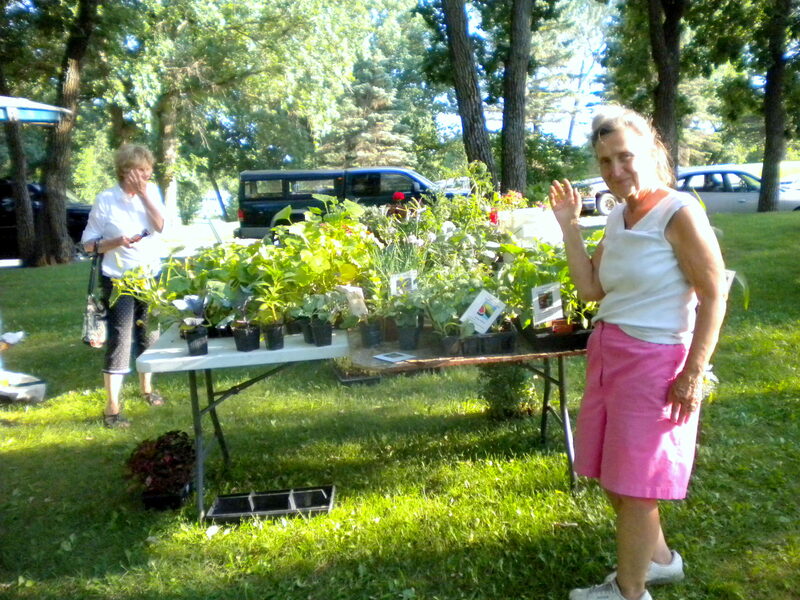 Sweet Pearlis showed up one week from somewhere down south with her truck stuffed with seedlings. 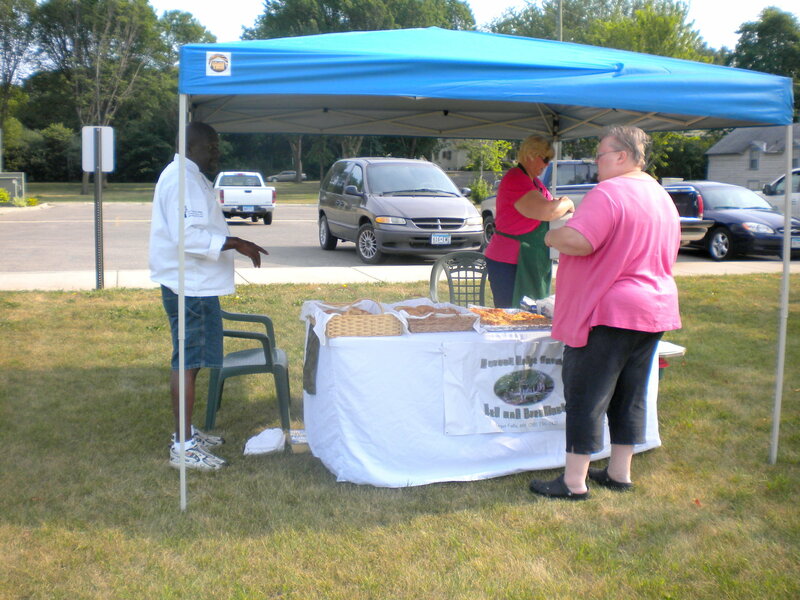 And Bob and Ruth provided us with sweet corn that does Minnesota proud. But the market has often been a two-booth show each week and for all my hand-wringing and proselytizing I’m stumped. 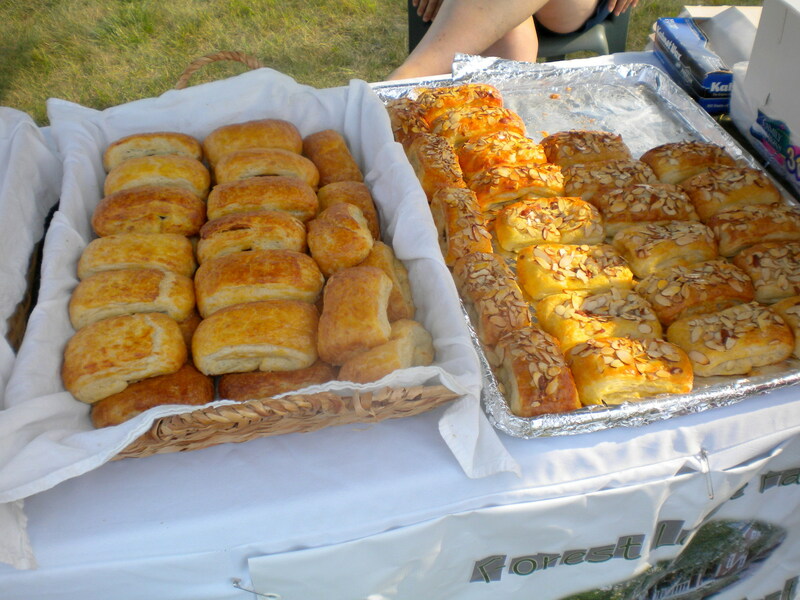 This entry was posted in COMMUNITY, favorite things, food, Gardening, minnesota life. Bookmark the permalink. Don’t get discouraged. It will catch on. 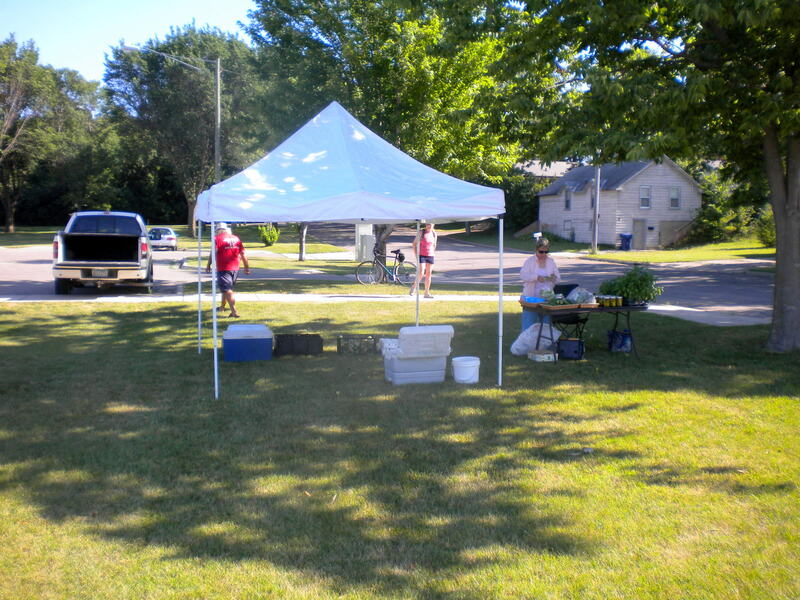 One thing I would do is offer a special booth to the people who have those outdoor fruit stands on Lincoln street. And get Bluebird gardens in the act, too. Also, are there any people who have small groups that would be willing to play out there and sell their CD’s? They could use some of the time there for practice. What are the laws of keeping the produce out there and are there electrical plug ins? How about asking for people who wish to sell their rummage or antiques? How many days a week is it offered? How is the parking there? Is it easy to see by passerbys? Perham’s is slowly catching on, too. Minnesotans don’t always know when a good thing should be embraced. It will take time. And like you, I miss those in CA, too.